This is an invitation to participate in a seminar on smart cities. The seminar will focus on how Internet of Things-based technologies can play a role in sustainable urban development. The seminar starts with presentations by representatives from Digital Malmö and from the regional industry. The presentations are followed by discussions. 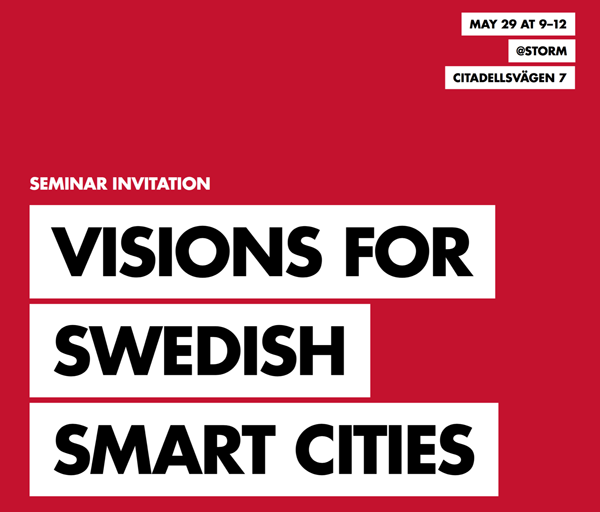 » Update June 7: “For a city to become smart, we need to cooperate more” – read the wrap-up of this seminar! The idea of smart cities, in short, is about using IoT-based systems for supporting emergency services, traffic management, waste management, public safety and security, and other city-level issues. It also includes IoT-based solutions for improving the production, distribution and consumption of energy. Smart cities is also an urban development vision that is about integrating information and communication technologies (ICTs) and Internet of Things (IoT) solutions in a secure way to manage a city’s assets. Looking beyond the technological visions, the idea of smart cities should include an increased level of civic engagement in the use of ICT and public data sources, new sets of governance practices, as well as the emergence of new business models. For questions, contact per.linde@mah.se. The seminar is hosted by the Internet of Things and People research center.